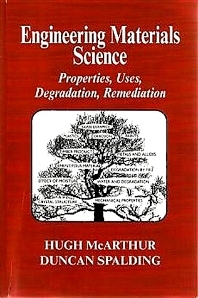 Exhaustive, authoritative and comprehensive, using 160 statistical tables, this book addresses the fundamental structure of materials and remediation, and looks at the properties of water and water-induced degradation and deterioration, with chapters on moisture effects in buildings and materials, corrosion theory and metal protection. The authors explain the behaviour of materials in fires, fundamental fire resistance principles and techniques, calculation of flame temperatures, and the removal of heat by nitrogen and other combustion products. It addresses properties performance, degradation of masonry, plastics, adhesives, sealants, timber, glass and fibre composites, metals and alloy elements. Phase diagrams show cooling curves and structure for metals and alloys. Concrete technology is developed in relation to degradation, electro-potential mapping and cathodic protection of reinforced concrete. The book is fully updated to current British and European standards. Structure of materials; States of matter and physical constants; Mechanical properties and testing; Water; Moisture effects in buildings; Moisture effects in materials; Masonry materials; Concrete; Glass and fibre composites; Metals and alloys; Corrosion; Timber and timber products; Plastics and adhesives; Fire and fire resistance. Hugh McArthur Corrosion Consultant to automotive and steel industries. Duncan Spalding, De Montfort University, UK.